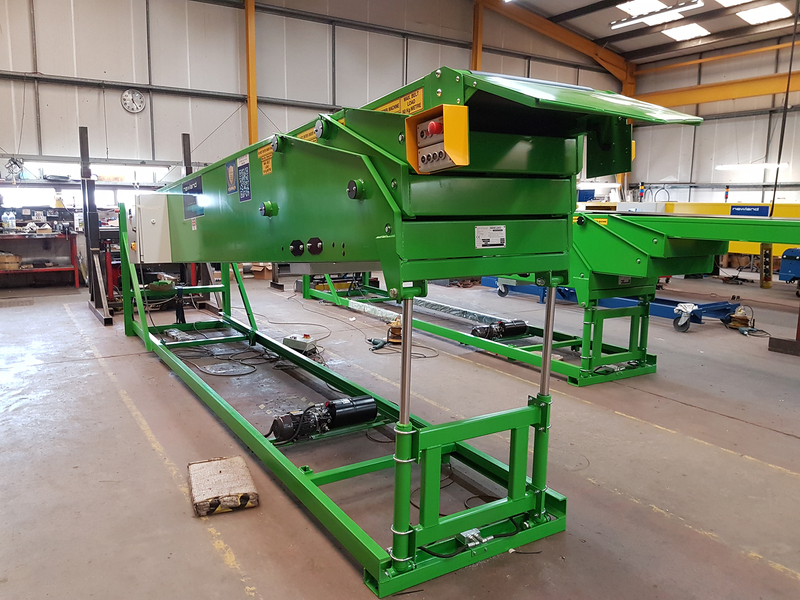 Newland have recently supplied 2 telescopic belt conveyors on mid-height fixed chassis & 1 horizontal conveyor fitted on a high level fixed chassis to a flour mill in Aden, Yemen. The machines are built to a heavy duty sack handling specification, with the 2 x MTC3X telescopic belt units fitted with a ‘Bag Transfer’ plate on the front boom. The transfer plate enables the operator to slide the 50 kg bag from the telescopic belt unit to the stack height of the bags. The MTC3X telescopic belt units are fitted with motorised hydraulic height adjustment operated via push button controls fitted at the side of the front boom. ”It is not the first time we have exported machines to Yemen. We have supplied machines to several flour mills over the last 25 years. I was there at a customer site in 2010. A country rich in history. It is a shame regarding the ongoing conflict there. Hopefully it will end soon. Did you know we can supply our machines in ANY colour? The customer for this project requested a bright green (RAL 6018) which we were initially not too sure about how they’d look. But actually, they turned out looking very good!